It’s a crisp, clear, and cold day in Ohio, a state that everyone believes to be critical. On the ground floor of the Ohio State University building I’m in right now, there’s a long line of students waiting to cast their votes, some for over an hour we’re told. It will be a long day for them, and it could be a long night for all of us if it’s close. Well before the first ballots were cast, the candidates and their allies were in court fighting over the rules. In Ohio, there were two especially important court orders issued in the weeks before Election Day. In one case, the Obama campaign went to court to challenge the state’s decision to allow early voting for military but not civilian voters during the last three days before the election. This resulted in early voting being open to everyone across the state’s 88 counties on the Saturday, Sunday, and Monday before Election Day. The other important case concerned provisional ballots, which are cast by voters whose names aren’t on the registration list, who lack required identification, who have moved without updating their address, or who were sent absentee ballots but didn’t cast them. Provisional ballots should be counted after Election Day, if the voter is determined to be registered and eligible. 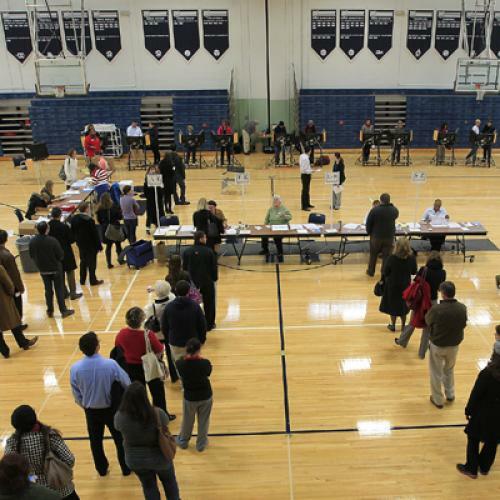 In many parts of Ohio, there are multiple precincts within the same polling location. Sometimes, voters go to the right location, but are directed to the wrong precinct by a poll worker. This is a problem so common it has a name: the “right church, wrong pew problem.” A federal court ruled that the state can’t reject provisional ballots cast by people who appear at the right polling location but go to the wrong precinct due to a poll worker’s mistake. These court orders are good news for Ohio voters, making it easier for people to vote and more likely that their votes will be counted. There could be more to come. Just yesterday, a new federal lawsuit was filed challenging the software used to aggregate and report election results at the state level. While the court denied relief in that case, we can expect more litigation if the presidential election comes down to Ohio and it’s close enough. The chief subject of any post-election litigation is likely to be provisional ballots. We could see 200,000 provisional ballots or more in Ohio. In a close election, the large number of provisional ballots could put the result in doubt, if the margin is in the low tens of thousands. In that event, we probably won’t know the result for weeks. If the 2012 presidential election comes down to Ohio, we can expect a vigorous fight between the parties and candidates over which provisional votes should count. Already, there’s an issue regarding whether omissions on the provisional ballot envelope should be attributed to the voter or the poll worker, on which a hearing is scheduled the day after Election Day. And this is just one of the many issues that are likely to wind up in court, if the outcome depends on Ohio. Daniel Tokaji is a professor of law at Ohio State University.